The team at Asset Remarketing are delighted to welcome Stuart who has recently joined our company as a new apprentice. One of Stuart's favourite subjects at college was computing so he decided to pursue a career in the IT industry. Plus, he has a keen interest in the environment, so working for an IT equipment purchasing and remarketing company was the perfect option. Since I've joined the Asset Remarketing I've been busy learning about all aspects of the business, from safe and secure IT asset disposal and recycling methods, to liaising with a wide range of customers from both the public and private sector. Before joining Asset Remarketing I didn't realise the huge amount of IT equipment that can now be refurbished and recycled. We deal with a huge range of desktop PCs, laptops, tablets, monitors, servers and network equipment. And our customers are delighted to receive cashback for their old equipment which they can reinvest in another area of their business. At Asset Remarketing, part of my role will involve undertaking asset handling which involves asset recovery services and asset valuation. Disposing of your assets ethically and methodically is crucial and must be carried out in line against a strict range of compliance. From an environmental point of view, I know it's vitally important to dispose of the old equipment in a safe and controlled manner. I can confidently reassure customers that our company fully adhere to all Waste Electrical and Electronic Equipment (WEEE) Directive 2017 regulations and UK legislations best practice. All of which gives our customer peace of mind and means they're doing their bit for the environment too. From day one everyone at Asset Remarketing has been very friendly and helpful, and taken time to help me fully understand the business. And by gaining in-depth knowledge I can promptly deal with any customer queries that may arise. At the end of each day I feel a real sense of achievement. 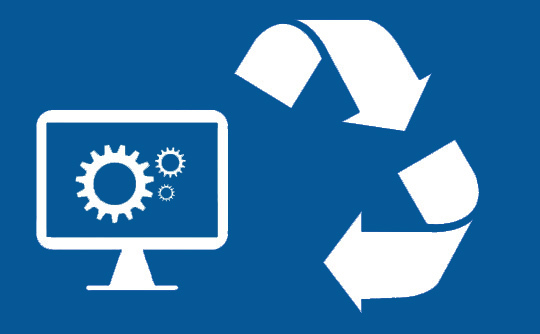 I'm constantly learning and it's a great feeling to know we're helping both the wider business community and the environment, by responsibly recycling old IT equipment. Contact Stuart either via email or on 0161 641 4843 for further information on asset handling and receive a free quote for the purchase and asset disposal of your unwanted IT equipment.